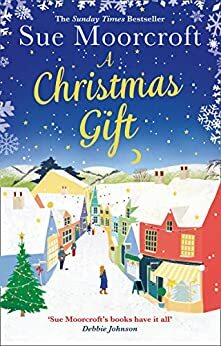 It’s always a pleasure to read one of Sue Moorcroft’s books and I was so pleased to receive a beautiful hardback copy of her latest book, A Christmas Gift. Like many Christmas books, although set around the festive season, it could easily be enjoyed at any time of the year. For me, this was a welcome return to the village of Middledip, the setting for many of Sue Moorcroft’s other books. I was delighted to spot a few familiar faces in the passing, particularly Ratty (yes, he is still my favourite Sue Moorcroft hero!). This is the story of Joe and Georgine and how their lives come together one Christmas. Joe was a neglected child, living with an alcoholic mother and abusive step father. My heart went out to the poor child he used to be. Many years ago now I was a primary teacher and taught several children like him. It can be heartbreaking to see potential which may not be fulfilled and also the way they can be treated by other children. Fortunately for Joe, he had an ally in Georgine who always stood by him. Georgine had a privileged childhood which came crashing down because of something she did. She feels tremendous guilt for how this affected her entire family but she was just a young woman, not even out her teens, and she couldn’t have known what would happen. 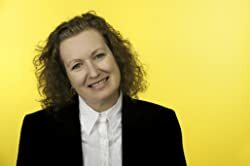 Because of her experience, she has a terror of being in debt and has recently split with her partner, a decision which hasn’t stopped the debt collectors arriving at her door. Money is a constant struggle but despite this, she takes in her sister when she in need. Her compassion shows too in her relationship with her father who has had several strokes. The two meet when Georgine is producing a Christmas play at the college where she works. Joe, is introduced as a friend of the principal of the college and is helping out with tech support. The whole background of putting on the show, encouraging the students and letting everyone have their chance to shine, was a great way of the characters working together and really getting to know each other. In Georgine and Joe’s relationship there is a bit of role reversal from their earlier days and a sense of both overcoming adversity. Joe is such a fascinating character. He seems to have several different persona but they are all different aspects of the same man and all go to make him what he truly is. Amongst other things he is a benefactor, but this is quietly and humbly done. I was outraged on his behalf when a journalist revealed the so called truth about him in the tabloid the Daily Snoop. These kind of exposés infuriate me. Whether they contain a grain or truth or not, they immediately blacken someone’s reputation and it’s hard for a public figure to put things right without it seeming to cover up. I do acknowledge that sometimes there is truth in the stories but do wish some journalists would have more integrity and less sensationalism. I always finish a Sue Moorcroft book with a warm feeling, a happy glow inside and this book was no different. I really enjoyed the story of Georgine and Joe overcoming all kinds of obstacles in their lives and I look forward to visiting Middledip again. I do wish it was a real place as I feel I’d know my way around and be meeting up with old friends! I absolutely adored this book! It was my first Sue Moorcroft book but I’ve already purchased many more! Great review! !